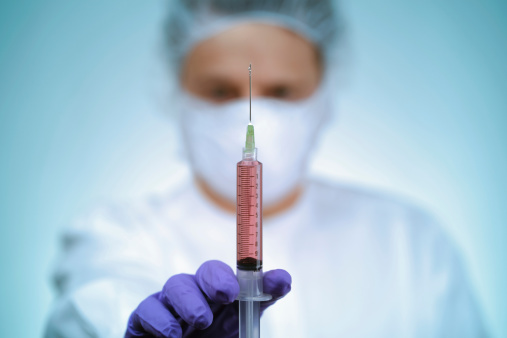 Home » Cancer » Could Botox Fight Stomach Cancer? Could Botox Fight Stomach Cancer? There may be nothing more devastating than discovering that you or a family member has cancer. As many can attest, the battle can be long and challenging. Radiation and chemotherapy are the most common cancer treatments; however, they decrease immunity and weaken the body, which can make you susceptible to further illnesses. With most conditions or diseases, natural cures are the first place I start. But with cancer, chemotherapy or radiation therapy may be the only option at the end of the day. Unfortunately, with certain cancers, such as stomach cancer (also known as gastric cancer), conventional treatments like chemotherapy or radiation therapy may not be enough. In the U.S., stomach cancer is expected to take the lives of nearly half of those diagnosed this year. That’s about 11,000 deaths. Too many if you ask me. Vagotomy is a common stomach cancer treatment, which severs the vagus nerve in the stomach that is known to promote tumor growth. But again, vagotomy is an invasive treatment. Is there another way? As I mentioned earlier, I am always looking for alternative or complementary treatments for this serious disease, but I was very surprised when I stumbled upon a recent study that revealed a possible alternative stomach cancer treatment. Why? Because, you see, this same alternative stomach cancer treatment is also a very common wrinkle treatment. I am referring to Botox, or botulinum toxin type A, which is a poisonous neurotoxin that is also used to treat migraine headaches among other conditions. Don’t believe me? I understand your skepticism; it does seem silly that a toxin can help cure such a fatal disease. But let me tell you about the intriguing study that I found. A research team from Columbia University discovered that Botox, when injected into mice during the early stages of stomach cancer, could help limit tumor growth. The treatment was as effective as vagotomy surgery. Why would Botox work as an effective gastric cancer treatment? When Botox is injected, it enters the nerve cells and prevents the release of the chemicals that create cancer cells. What about advanced gastric cancer treatment? Botox cannot help reduce the growth of already developed tumors; however, when combined with chemotherapy, the tumor would shrink to half the size, compared to the mice not given any treatment. However, while Botox may be an alternative treatment to stomach cancer, it is far from harmless. Botox injections may produce serious and sometimes life-threatening side effects because the botulinum toxin can spread throughout the body. Some serious reactions include severe itching or rashes, vision problems, breathing issues, and muscle weakness. Natural cancer prevention is the best step to avoid any development of stomach cancer. What are these natural cancer preventative steps? Particular dietary supplements have been shown to help with stomach cancer prevention through various studies, including a 1993 study in China published in the Journal of the National Cancer Institute. This study observed 29,584 adults who received a supplementation protocol during a five-year period. There were 2,127 total deaths, and 32% of the deaths were related to esophageal or stomach cancer. The number of stomach cancer deaths had been reduced about one to two years after treatment with the selenium, vitamin E, and beta-carotene supplements. Are there any more natural cancer prevention treatments? H. pylori (Helicobacter pylori) is a bacterium that can cause a chronic stomach infection that may lead to stomach cancer. When the infection is treated with antibiotics, it can lower a patient’s stomach cancer risk. A diet high in fruits and vegetables may also reduce any stomach cancer risk, especially foods high in beta-carotene, such as broccoli, spinach, bell peppers, or Brussels sprouts. Organic produce will also reduce the body’s exposure to chemicals. So the perfect place to start to reduce your risk of developing stomach cancer is with today’s lunch. Try a spinach salad topped with fresh avocado, sliced cremini mushrooms, almonds, and roasted sunflower seeds, which will give you lots of beta-carotene, vitamin E, and selenium—the natural stomach cancer-fighting trio. Zhao, C.M., et al., “Cancer: Denervation suppresses gastric tumorigenesis,” Science Translational Medicine August 20, 2014; 6(250): 250, doi: 10.1126/scitranslmed.3009569. Skett, P., “Botox blitz could work against stomach cancers,” NewScientist web site, August 22, 2014; http://www.newscientist.com/article/dn26093-botox-blitz-could-work-against-stomach-cancers.html#.VAm8deesg4A. Ogbru, O., “Botox,” RxList web site; http://www.rxlist.com/botox-side-effects-drug-center.htm, last accessed September 5, 2014. Biot, W.J., et al., “Nutrition Intervention trails in Linxian, China: supplementation with specific vitamin/mineral combinations, cancer incidence, and disease-specific mortality in the general population,” Journal of the National Cancer Institute September 15, 1993; 85(18): 1483–1492. “Stomach Cancer Prevention,” National Cancer Institute at the National Institutes of Health web site; http://www.cancer.gov/cancertopics/pdq/prevention/gastric/Patient/page3, last accessed September 5, 2014.